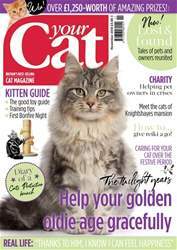 The December issue of Your Cat is the purrfect read for any cat lover! 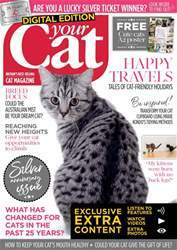 We're starting to feeling festive in Your Cat HQ and have had great fun putting our Christmas gift guide together - inside this issue you'll find 50 gift ideas for cat lovers, and cats! 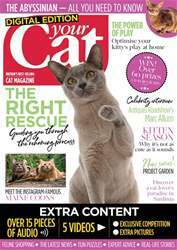 You're sure to find something for your cat-loving friends - and you may even want to treat yourself! 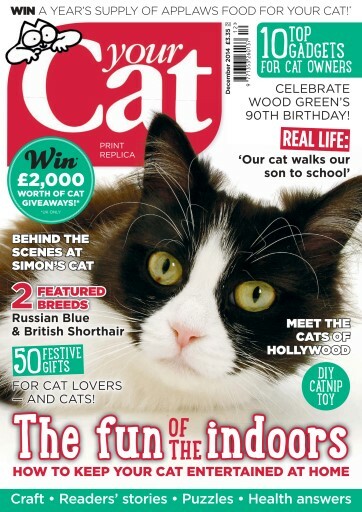 Not sure what to buy your kitty this Christmas? Why not make him a catnip mouse toy? We've got a free pattern for you inside this issue - don't forget to share your creations on Facebook and Twitter! With winter approaching, lots of our cats will take one look outside and think again, so we've asked behaviourist Anita Kelsey how to keep cats entertained inside the home when it's cold and blustery outdoors. It's amazing that just a few simple changes can make such a difference to your feline companion. Let us know how you have fun with your cat at home! 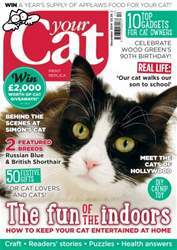 And don't forget to enter the December issue's fabulous array of giveaways! 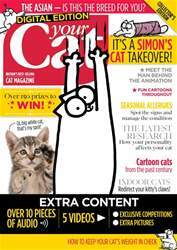 You could win a year's supply of Applaws cat food, grooming tools, Feliway sets, catnip toys, tasty food and much, much more!